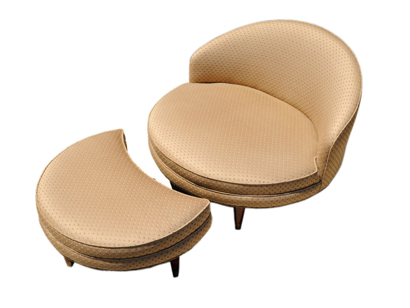 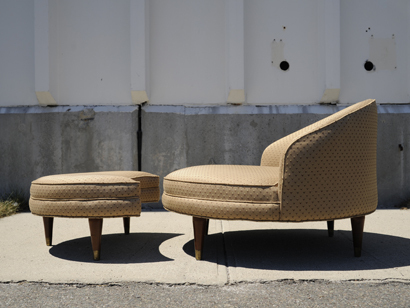 The low profile and round shape of this mid-century slipper chair make it a playful piece in the style of Adrian Pearsall. 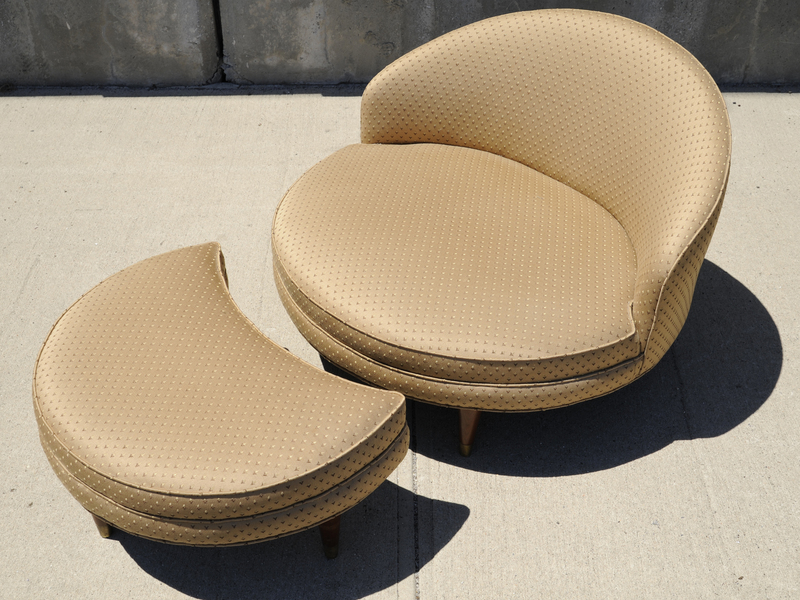 The half-moon ottoman matches the curve of the chair perfectly and adds 16.5″ to the length, making the two together 53″ long when touching. 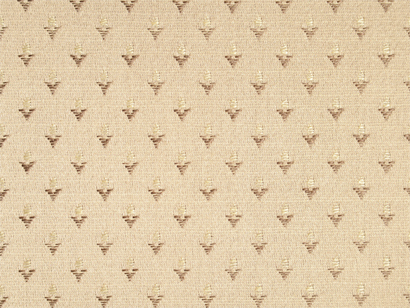 The textile, in excellent condition, is original to the chair. 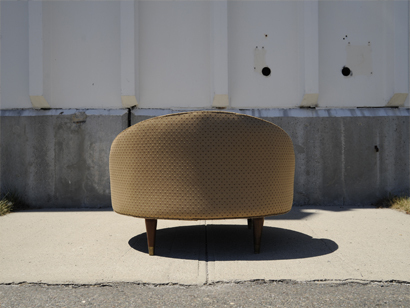 Height: 24.5" Seat Height: 12.5" Diameter: 36.5"